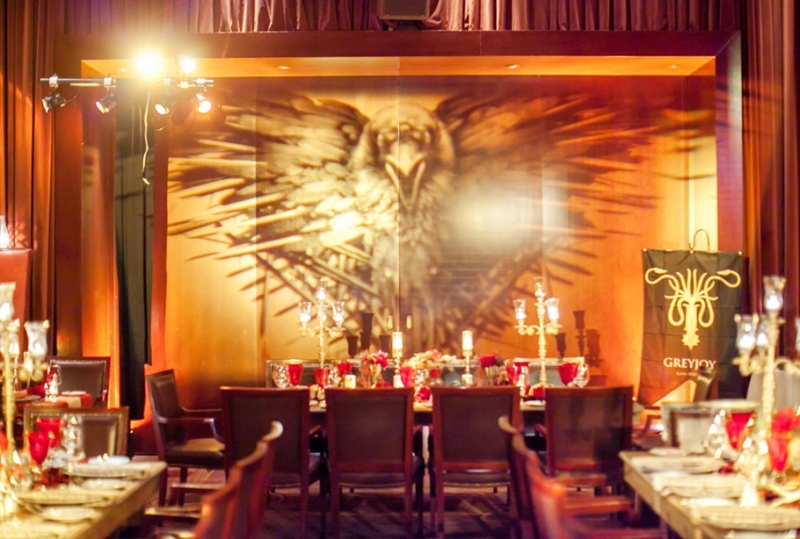 “GAME OF THRONES” PARTY AT THE CLIFT HOTEL SAN FRANCISCO … WINTER IS COMING! GAME OF THRONES is an American fantasy drama television series created for HBO. Set in the fictional Seven Kingdoms of Westeros, the series chronicles the violent dynastic struggles among the realm’s noble families for control of the Iron Throne. 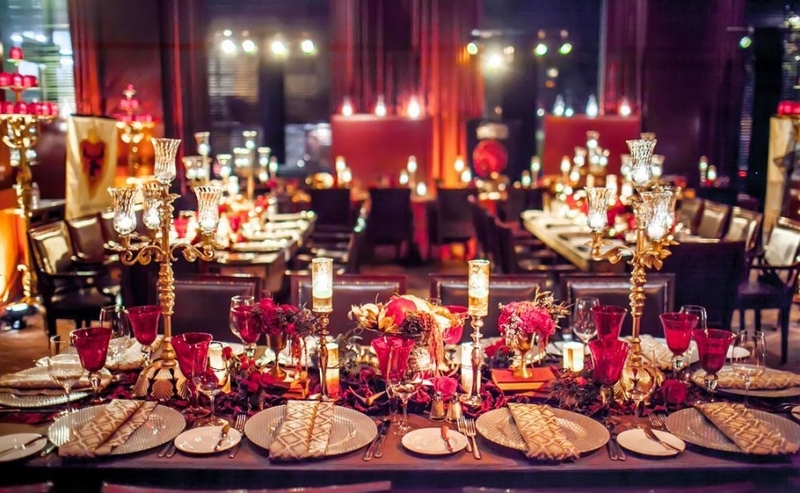 For this particular Holiday Party, my Clients wanted me to transform The Velvet Room at The Clift Hotel in San Francisco into this periodic medieval fantasy that is complex, multi-layered, surreal, vibrant and imaginative providing an ambiance that will draw your eye in to the surprising level of detail. And that’s exactly what was done – we gave them the “WOW Factor”! Tbanks to my collaboration with Jonathan Gomez of Asiel Design and my incredible “Dream Team”, the Kingdoms of Westeros came to life, right down to hiring Actors (and dogs as Direwolves) who portrayed the key characters of the show such as Jon Snow, Robb Stark and Daenarys Targaryen. 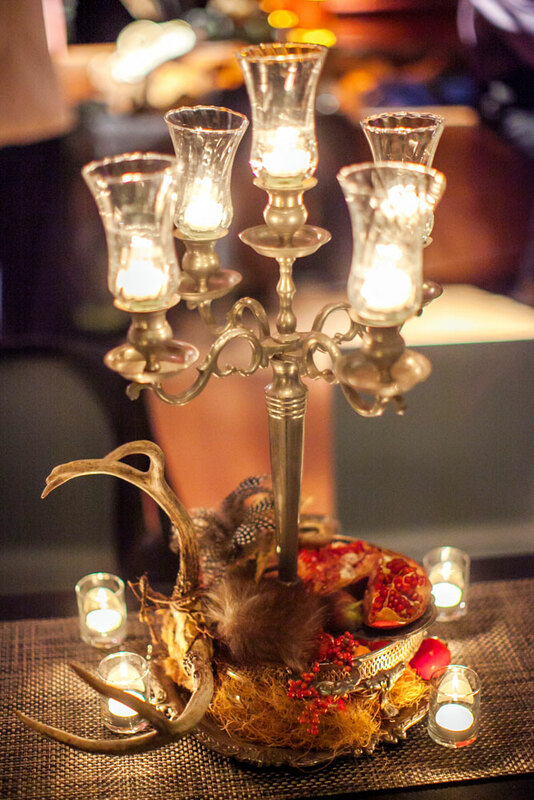 The Velvet Room never looked so exquisitely stunning and my Clients were awe-inspired and ecstatic with the results. These fabulous images were all captured on film by the keen eye of Clane Gessel with Clane Gessel Photography.